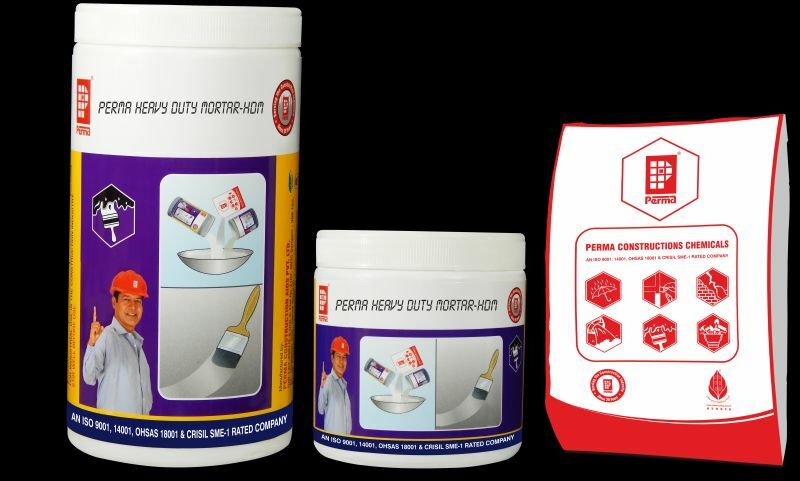 Perma Heavy Duty Mortar (HDM) is a three component high performance epoxy resin based concrete that provides a rough looking extremely strong bedding mortar or screed mortar to industrial floors. The Perma Heavy Duty Mortar (HDM) is also used in heavy duty repairs of dams, tunnels, spillways, bridge girders, etc. We manufacture, export and supply the excellent quality Perma Heavy Duty Mortar (HDM) around the world. Clients can avail the Perma Heavy Duty Mortar (HDM) at very economical prices.